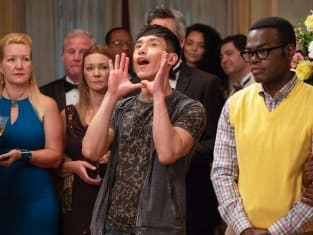 Although it felt a bit slower than its preceding episodes, The Good Place Season 3 Episode 4 was a good, but not great, addition to the show's latest season. While the first few episodes were about getting the group together, the latest installment was about keeping the group from falling apart. It dragged at some points, but as usual, the characters were able to make up for the dull moments with their vibrant personalities. 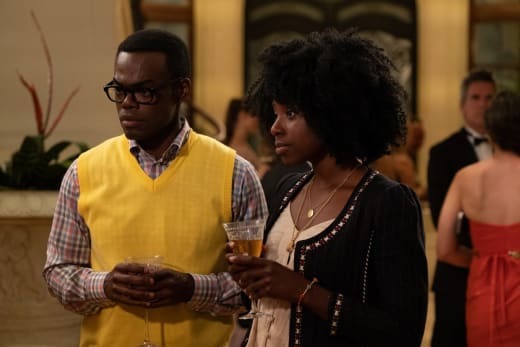 The plot of The Good Place has always kept the audience interested in the past, but this season, it seems as though the characters have been carrying the series on their backs. After escaping the afterlife and heading back to Earth, Michael and Janet have one goal and one goal only: save their friends' souls no matter the cost. Of course, now that they no longer have magical abilities they have to resort to more human ways of spying, like planting hidden cameras and watching them 24/7. Oh no, not a great start. Eleanor farted and then she blamed it on her chair. That's gonna cost her at least a few points. Permalink: Eleanor farted and then she blamed it on her chair. Michael's devotion to his friends gets stronger every day, and this episode we finally find out why. Michael has never truly had people who care about him. Living life as a demon isn't as easy as one might think, and sometimes it gets a little lonely. Michael has given up everything for his friends, and if he lets them all go, he'll have nothing left. It seems like getting Eleanor and the gang to The Good Place is also giving Michael a new purpose in life. Without his friends, Michael's eventual retirement is inevitable. Exploring this more vulnerable side of Michael could be an interesting route for the show to take. Instead of using him solely as a plot point to further the gang's story, giving him his own internal conflict would add an interesting depth to the show while still keeping it light and comedic. I know how that goes. Not wanting something to end. Feeling like your team is the last thing standing between you and oblivion. That at any moment, the universe could fold up around you and squeeze the last breath from your dying lungs. Permalink: I know how that goes. Not wanting something to end. Michael and Eleanor are surprisingly similar in that retrospect which really stands out. They begann as two individuals who cared about nothing but themselves, but somehow this one group of people have managed to become the most important thing in their lives. In fact, they're so crucial to Eleanor that she will do just about anything to keep them all together. When the group shot Eleanor's idea to continue the study down, it was hard not to feel your heart breaking right alongside her's. Thankfully, Simone was there to step in and offer Eleanor some much-needed advice. Speaking of Simone, it's no secret that she's been a new, refreshing presence to the series. No matter what Eleanor may or may not be feeling towards Chidi there has been nothing but support between the two ladies, and they have developed a pretty strong friendship over the past year. Simone helps Eleanor understand why she feels so attached to "The Brainy Bunch." She's finally found friends that have become part of her self-identity. She's at her best when she's with them, and the same goes for the other members of the group. They all work as a unit and make each other whole. It was hard to see Eleanor be the only person in the group who was so affected by their disbandment. And Chidi brushing it off all too lightly heart my Cheleanor shipping heart. I'm not mad. I'm actually laughing because this whole study was a hilarious, stupid, pointless joke. And now it's over, so let's hit the road. I don't need you guys. You don't need me. Permalink: I don't need you guys. You don't need me. Although it hurt to watch, the other characters aren't really at fault for their acceptance of the group's end. They all have to get back to their real lives. Tahani is getting married to a person who knows what it's like to live in their sibling's shadow. And with the first test group going so successfully, no one can blame Chidi for wanting to move on to the next part of his study. It's times like these where everything would be so much easier if Team Cockroach just knew the truth. But as unlikely as it seems, could that possibly be where the next episode is heading? 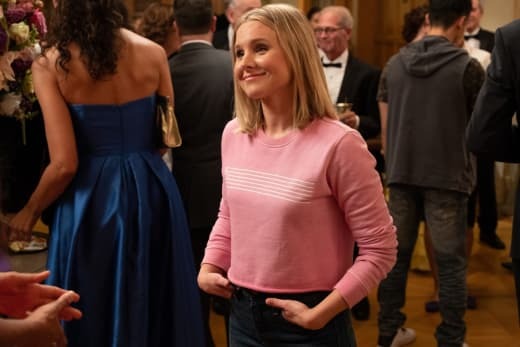 The Good Place can only keep this arc going for so long, and it's already starting to feel a bit underwhelming. Thankfully, the characters (and Eleanor in particular) can spice things up, but even that will get old eventually. I'm really good at telemarketing. I can usually guess how long to microwave food without looking at the box. I'd say those are my two main skills. Permalink: I can usually guess how long to microwave food without looking at the box. 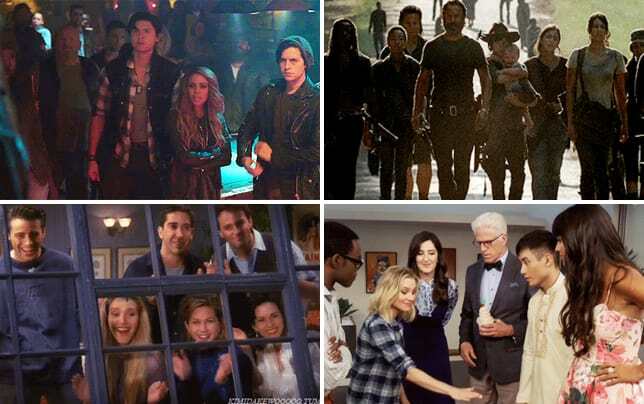 The gang witnessing Michael and Janet summon the portal to the afterlife may be just what the show needs to kick this season into high gear. 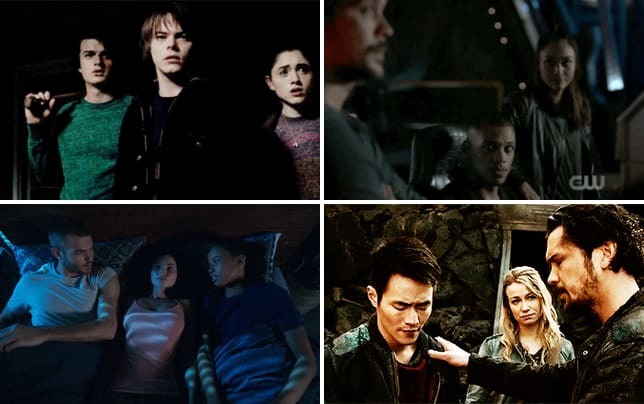 It feels like everyone finding out the truth would be the most exciting road for the show to take. It would probably take a while and some convincing from Michael to get them actually to believe what's really going on. But once they do, how would their knowledge of the experiment affect the experiment itself? What exactly would the judge do? Would they all get rebooted again? There are so many different outcomes and possibilities for The Good Place to explore that it's time for them to take full advantage of it. With an endless amount of questions remaining, it's impossible not to wonder what the show has in store for the viewers next. Will the series just hit the reboot button and go right back to the start? Or will The Good Place use this opportunity to throw caution to the wind and boldly dive into new territory? Seeing as both options are possible, The Good Place will either go uphill or downhill from this point forward. Miss the episode? Or just can't get enough? You can watch The Good Place online right here at TV Fanatic!